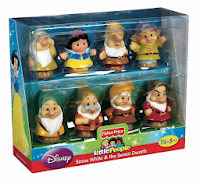 Amazon has the Fisher-Price Little People Disney Snow White and The Seven Dwarfs for only $9.99! This would make a great Christmas gift for any Little People fan. Plus it is eligible for FREE shipping on orders over $35.